Open up the door to the world of Beatrix Potter. 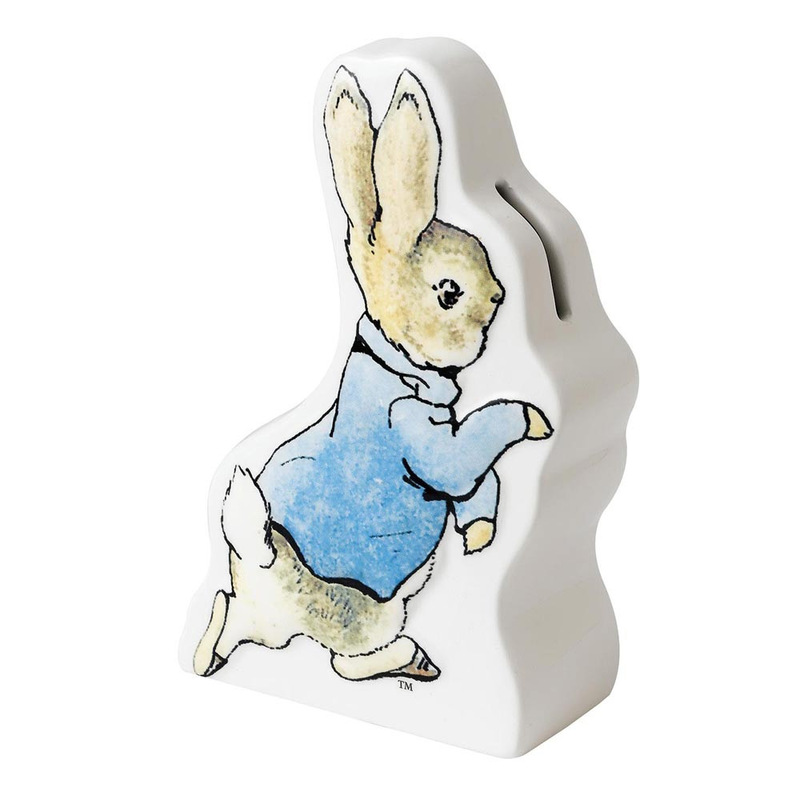 Wearing his signature blue jacket, this Running Peter Rabbit Money Bank is an adorable addition to your child's bedroom shelf. 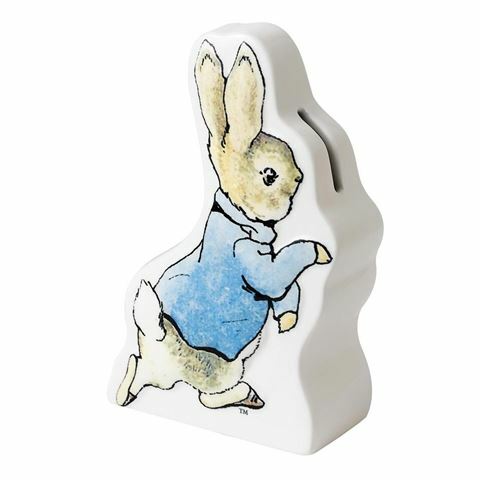 Crafted from ceramic, this delightful money bank has been gorgeously painted with Peter on one side, with carrot illustrations on the other, while a convenient rubber plug on the base allows your little one easy access to their savings. Such a beautiful gift will surely become a keepsake that will see your little one through to adulthood.